At Aleteia, editor Elizabeth Scalia interviewed Benedictine College Gregorian Institute editorial director Tom Hoopes about his new booklet: The Fatima Family Handbook. 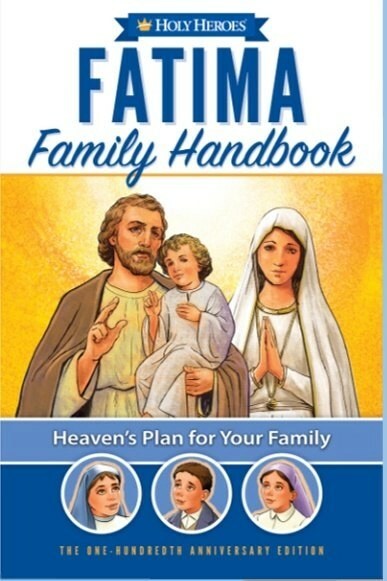 Click here to read “The Fatima Family Handbook: A Fast Take With Author Tom Hoopes.” An excerpt follows. “Three events came together to bring the Fatima Family Handbook about. “First, the school year at Benedictine College has been emphasizing the 100th anniversary of Fatima a lot. We started a daily Rosary at our Grotto, and hosted a Pilgrim Virgin statue of Our Lady of Fatima for a 40-hours prayer event on Election Day. The 100th anniversary of Fatima is our commencement day and we are incorporating a statue, medals, and more into the day. “The night of the election, I visited Our Lady of Fatima in St. Benedict’s Abbey here, and memories came flooding back about Our Lady of Fatima’s role in my own life. As I recount in one recent column, my own falling away from the faith as a child had to do with a misunderstanding about mercy, and Fatima was the final piece that brought me back. I thought mercy was automatic; Fatima taught me that mercy is impossible without conversion. I feared that the beautiful Year of Mercy was being misunderstood by some in the same way. “Simultaneously, the college has been growing closer with an old friend of mine: Father Michael Gaitley. It seemed like everyone I knew was suddenly reading his books, especially 33 Days to Merciful Love, You Did It to Me (a practical guide to the works of mercy) and 33 Days to Morning Glory. I was struck at the powerful channels of contemporary Catholic spirituality Father Mike was tapping into that I had not exactly noticed before: consoling the heart of Jesus, reaching out to sinners and consecrating yourself to the Blessed Mother. ..
“But I started to get truly excited by Fatima when I reviewed the apparitions and what the angel and Our Lady said to the children. 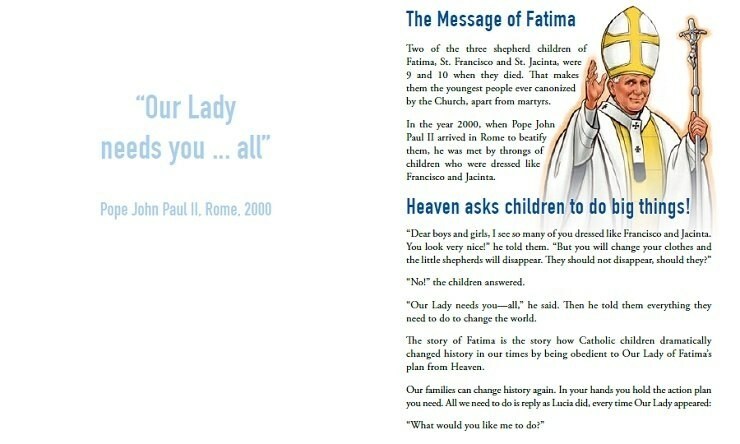 Fatima was all about the same three strains of spirituality so many of us are discovering in Father Mike’s books: consoling Jesus, converting sinners and consecrating yourself to Mary (the ‘three Cs of Fatima’).